This is not the first MG we have received as a donation but it is one of the better models we have seen. It is the fourth MG donated so far this year and also the oldest aside of a 1952 though that was a kit car and not an original. This green roadster only has 3,505 miles which is incredible for a 1977. We do not know much about this MG’s previous life but the donor is from Grand Rapids, Michigan. Presumably, the car spent most of it’s time there cruising with the top down catching the breeze off Lake Michigan. 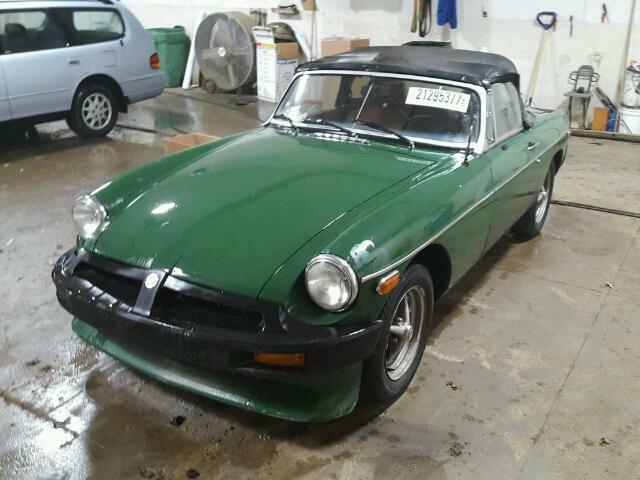 The ’77 MG has been donated to Michigan Radio, a part of the NPR news network. Unfortunately, University of Michigan basketball suffered a tough loss last night in the NCAA tournament. Hopefully seeing a donation like this one will help ease the pain. The 1977 MG MGB holds the record for the best sales out of any MGB year. The standard engine for this car is a 1.8L 1798 cc 4 cylinder motor that produces a whopping 85 hp. While not running with a lot of power the MGB is still a fun car to drive. Evidence of this proves itself on U.S. roadways everyday. There is still a large number of the over 300,000 roadsters that ended up in the U.S. Some are in pristine condition, some in various forms of modification and some that struggle as inexpensive beaters. Advanced Remarketing Services supports many of the national public radio stations across the country via Car Donation Wizard.